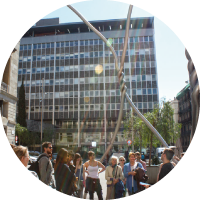 Since 2008 the objective of Untitled Barcelona has been to create links between local and visiting artists through group exhibitions, residencies and events. 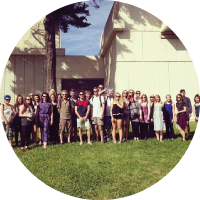 (Click for more information) In 2017 it has specialised in group visits for universities. 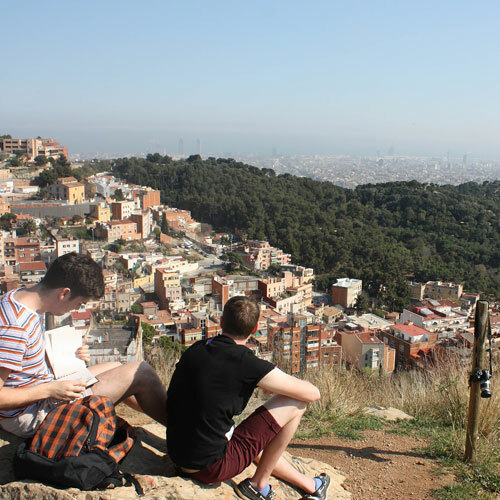 Untitled Barcelona works with a team of local people who love their city and are enthusiastic about sharing it with visitors from other countries. The aim is to show you the places that inspire us, places that you would not know existed unless you were visiting with a native of the city. 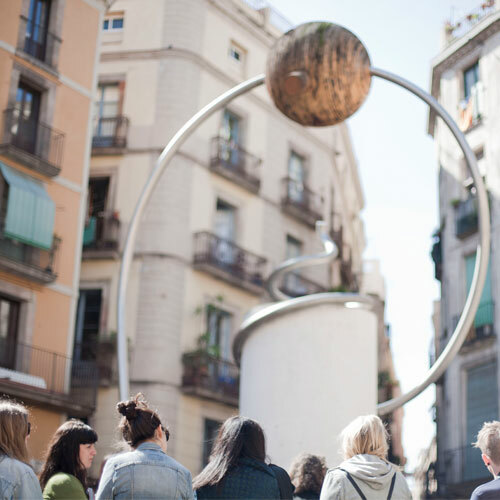 Untitled Barcelona organises creative tours that include walks around the city using public art as reference points to discuss its history and popular culture. 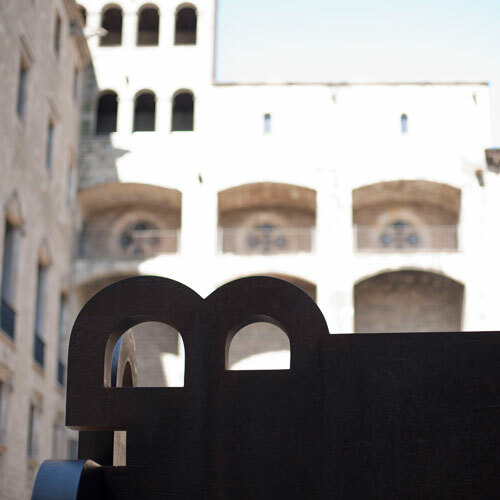 There are visits to artists’ studios and independent art galleries as well as major institutions such as Macba and the Miró foundation. 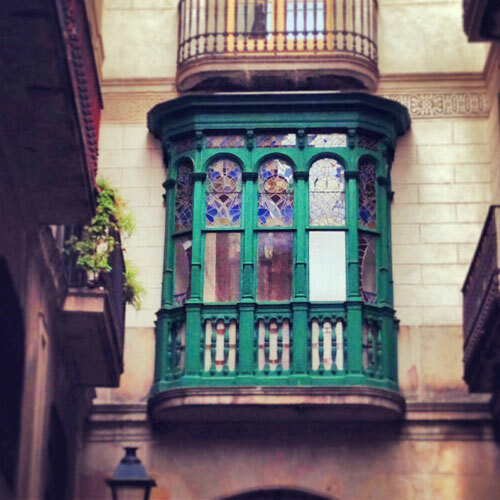 We want you to feel that you have experienced the ‘real’ Barcelona not just a walk up the Ramblas. 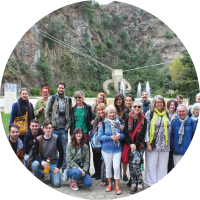 We specialise in creative visits and prepare 5 day itineraries to cover any of your needs. 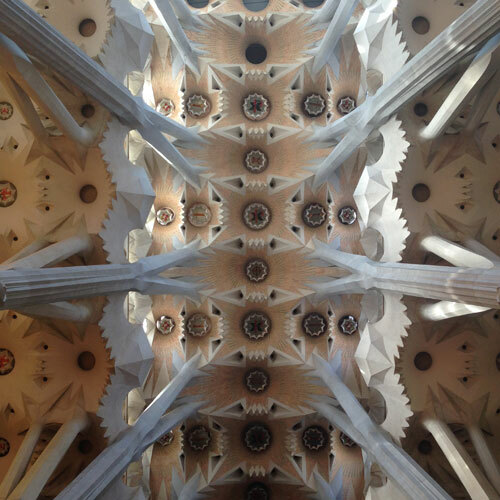 Untitled Barcelona were fantastic hosts – really great to have people on board who know the city, the art scene and the culture. 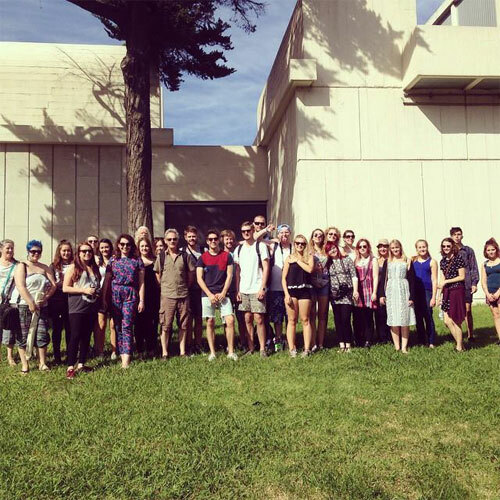 Our students loved the trip, especially the bespoke activities that offered a way in to the key events, venues and communities that related to their studies and passions. 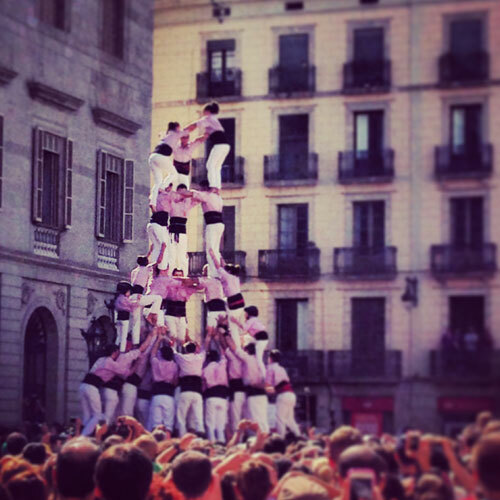 We came in order to understand the city and its culture. We knew the sun would be out – it was. We knew the people would be passionate – they were. We got lost, quite a lot. 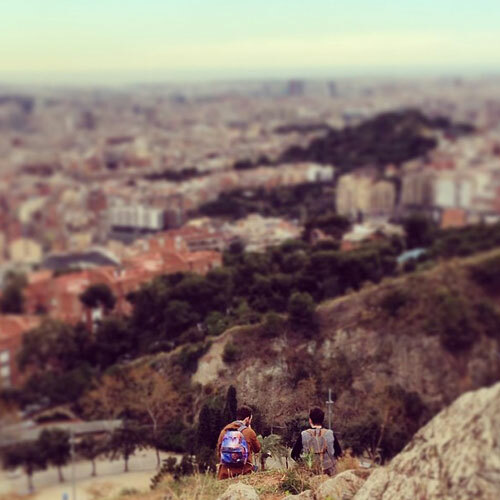 Xavier and Jess showed us Barcelona they tried to explain how to detect patterns in the relationships between people and this remarkable city. The week finished with a group exhibition, an opening and even a birthday cake. Each day was different, memorable, tiring and rewarding. 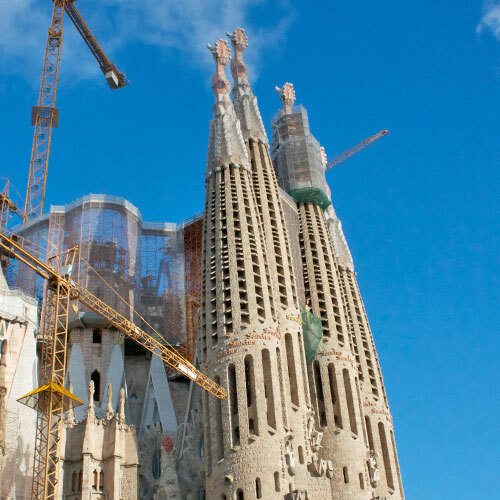 We will be back in 2 years to begin our own Barcelona Biennale. On the day of arrival the group will be met at the airport and taken to their accommodation. The group will be given the week’s itinerary and meet their hosts. 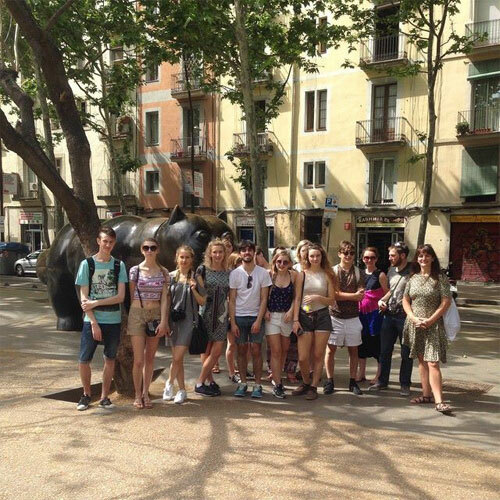 On the second day the group is taken on a walk around the centre of Barcelona to talk about its history and popular culture using a number of pieces of public art. 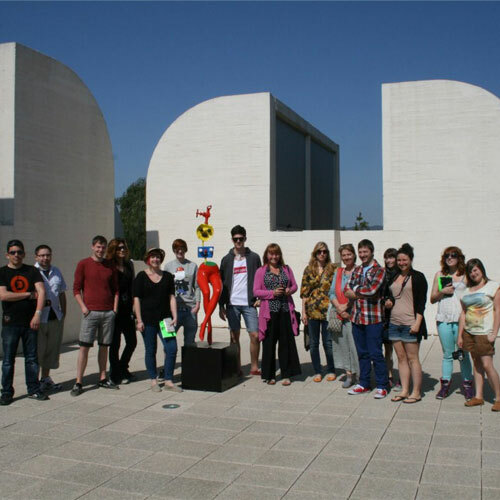 On the third day the group is taken to the Miró Foundation in Motjuïc to see Joan Miro’s major works and temporary exhibitions. 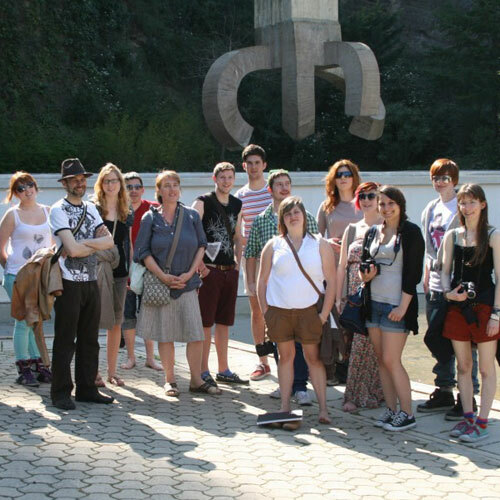 On the fourth day the group walks up to El Parc de la Creueta del Coll to see sculptures by E.Chillida and E.Kelly this location is also perfect for a day out drawing. 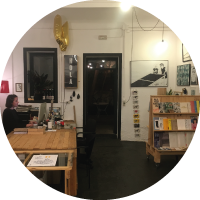 On the last day the group visits local independent galleries as well as having the chance to meet and speak to local artists such as illustrator Elisa Munsó featured in the photograph. Based on a 5 day visit. 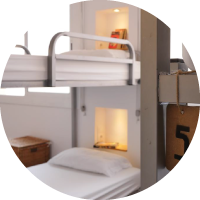 We can also take care of the booking of flights but prices vary on a day to day basis, this can be arranged once we know the full number of students and any special requirements.